If you want this, you need Volumes 1 and 2 to cover all denominations. Unfortunately, there is a somewhat limited market, so these are pricey: even the digital editions will cost you $40 for both. I do not NOT recommend these - if you are going to buy them, buy the physical books unless you want these so that you can conveniently carry them to shows or wherever. Those are the only circumstances where I would recommend the digital version. I'm a fan of digital and try to buy all my books that way now, but when a digital book is done this badly, I just can't recommend it. It's a shame that such expensive titles are so poorly done! By the way, these are Kindle format. You do not need to own a Kindle; Amazon has free Kindle Reader software for almost anything. First, it's obvious that they didn't make any effort to reformat the text for digital. That 1855 heading should have started on the next screen. Leaving hangers like this is not just ugly, it can also be confusing and there's no reason for it. Kindle books have been around long enough that there are now people who specialize in offering reformatting services to get it right. Turning out junk like this is inexcusable for a major publishing company - especially at these prices. Second, one of the obvious advantages of digital is that good photos can be included. These are not good photos - they are all black and white and when you zoom into them, the poor resolution is quite evident. The books are also poorly indexed. It's difficult to find things (that fault also exists in the print edition). Digital search could overcome that, but the problem is inconsistency in text descriptions, making some searches fail when they should not. Authors need to be consistent for digital search to work well! 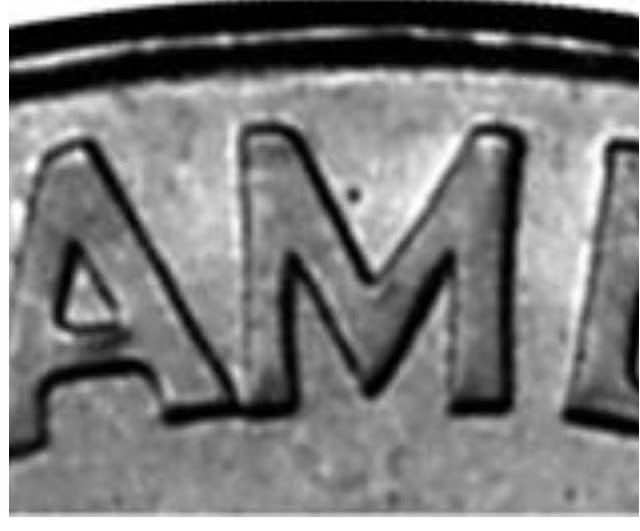 Only one of the 11-D Repunched Mint Marks is still listed in the book itself. They are shown only in these tables. Suppose you found one that wasn't the one described? Is it one of the low interest varieties (502 and 503)? Or maybe it's something yet unknown, but this won't help you, will it? An accompanying website listing all varieties could fix that and the content is obviously available from the older editions - do they expect us to buy all those also? There is really no excuse for this with digital - you don't have weight or size constraints, so data like that should be included. 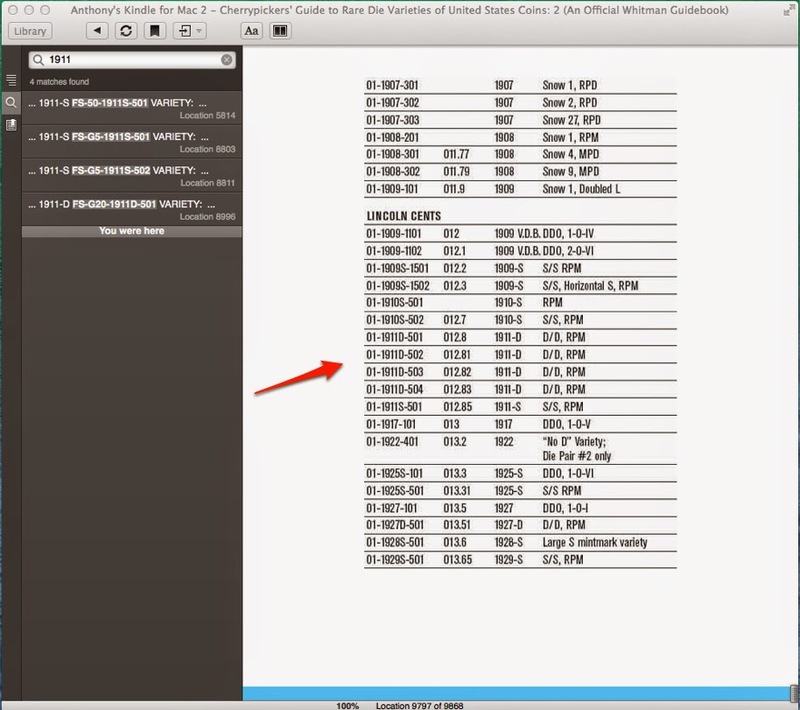 Finally, listings stop at different dates in different series. Are there no dime die varieties after 2004? You can't be sure if this is all you have to go by: dimes stop in 2004, but other series go on later. These issues would be true for the print editions also, of course. All in all, an expensive and very poorly executed book. There are online resources that are much easier to use. However, at least it is digital - most numismatic authors are afraid of theft and won't consider it. I've sold ebooks and made good money from it. Yes, I assume there was some theft, but as there were no production costs other than my typing, I'm also sure that I made out far, far better than I would have otherwise. With a very esoteric subject (Unix Troubleshooting, anyone?) and being an unknown author completely dependent on my own website, I cleared around $5,000 with zero outlay. Then I discovered Amazon and put it up there. I picked up a few hundred dollars more at $19.95 and then as sales dwindled off, reduced it to $2.99. I STILL get sales years later even though the book is totally out of date and I am still an unknown name. It's not much - $10 or so dribbling in now and then, but it adds up. There are so many advantages: easy revisions, good pictures, high profit - I think numismatic authors who won't do this are really being short sighted. You can serialize ebooks so that if there is theft you can find the source but in my experience, it's too little to fret over. For existing books, you do have to consider reformatting for ebooks. If you just leave the same pagination, it can come out ugly - these e-versions of thee Cherry Pickers Guides are a good example of laziness producing a crappy result. Done right, however, you get something far better than a print book and as mentioned earlier there are now people who specialize in that kind of reformatting for fairly short money. I won't buy a print book now unless I HAVE to have it. 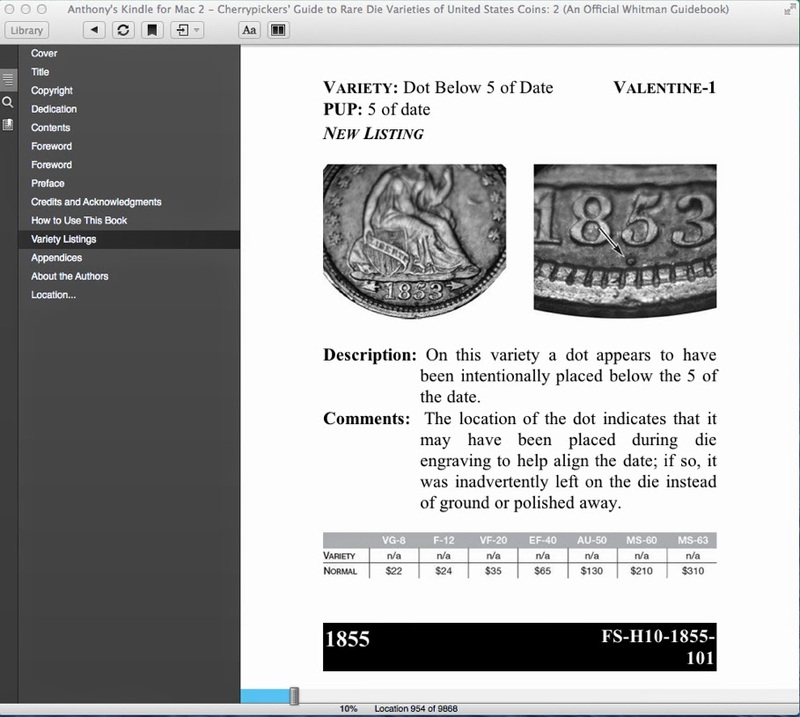 For many numismatic books, I'd buy an ebook version, but I don't need it enough to buy the print. It's not a matter of price; it's the convenience of having it on my iPad or phone wherever I am. But most numismatic authors are opposed and it will probably stay like that until the next generation. Buy this book at Amazon and help me support this site!